MANAGER: Neil Warnock; Mick Jones. PLAYER OF THE SEASON: Chris Billy. 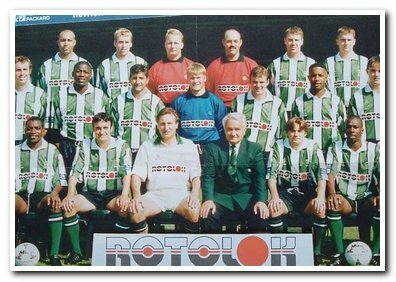 DEBUTS: Simon Collins, Bruce Grobbelaar, Neil Illman, Tony James, Steve Perkins, Lee Phillips. FINAL GAMES: Kevin Blackwell, Chris Curran, Bruce Grobbelaar, Tony James, Mark Patterson, Steve Perkins, Dominic Richardson. LOANS: Jason Rowbotham (Wycombe), Michael Simpson (Notts Co).